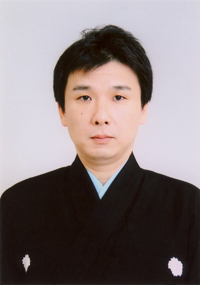 The Award winner of this year is Mr. Yamamoto Yasutarô, Kyôgenkata Ôkuraryû. 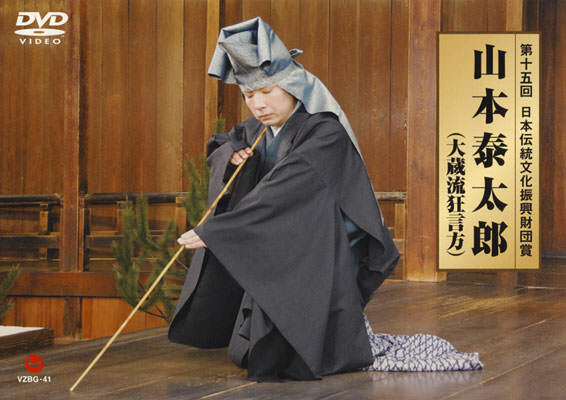 While Kyōgenkata are included in the category of nohgakushi, generally they are called kyōgenshi, or kyōgen actors. He was born in 1971 in Saitama and began his professional career as a Kyogen actor at the age of five. In 2011, he was awarded the Prize for Excellence in the Theater Category of the 65th Arts Festival sponsored by the Agency for Cultural Affairs of Japan. Yamamoto Yasutarô has studied under his father Mr. Yamamoto Noritada (1939-2010) and Mr. Yamamoto Tôjirô IV (b.1937) who is a head of the time-honored Ôkura-school Kyogen actor family. He has his own original performing style that comes from basic “kata” forms, which are traditional movement patterns.